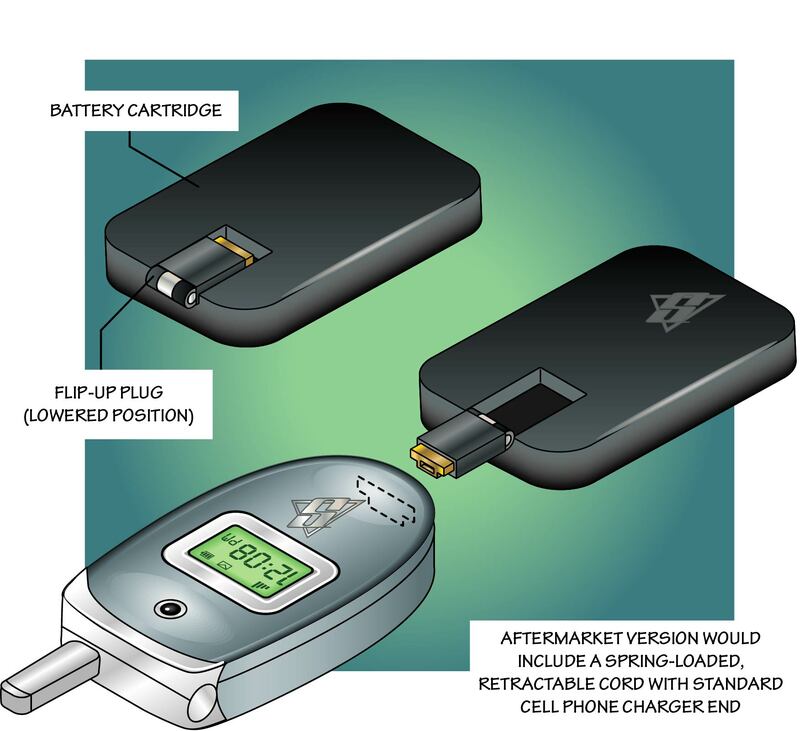 InventHelp®, America's largest inventor service company, announces that one of its clients, an inventor from Virginia, has designed a device that would enable its users to charge their cellular phone batteries when away from an external power source such as an electrical outlet. This invention is patented. The "Power Up 24/7" unit would be designed to ensure that a user's cellular phone does not run out of battery power. Designed as an alternative to conventional cellular phone chargers, the device could provide it's users with peace of mind when traveling. Featuring an easy-to-use design, the unit would be suitable for use with any cellular phone. The Power Up 24/7 device would consist of a battery-operated charger for use with cellular phones. The charger would feature a rectangular shaper and measure 2-1/2 to 3 inches high, 2-1/2 inches long and 1 to 1-1/2 inches wide. The unit would be composed of high-impact plastic and would feature a connector head and a battery compartment. The connector head could be producible in versions for use with all models of existing cellular phones. To operate, a user would insert the connector head into the battery charger port on the cellular phone, which would charge the battery. Variations of the invention could offer of a charger featuring a belt clip on the back. InventHelp® is attempting to submit the invention to companies for review. If substantial interest is expressed, the company will attempt to negotiate for a sale or royalties for the inventor. For more information, telephone Dept. 06-ROK-794 at (800) 851-6030. Learn more about InventHelp® and their Invention Submission services at http://www.inventhelp.com.